Many are still in a state of shock in the aftermath of two Virginia journalists’ tragic on-air murder by a former co-worker. Vester Flanagan fired approximately 15 shots as photographer Adam Ward filmed reporter Alison Parker during an interview with the executive director of the regional Chamber of Commerce. The reporter and camera man were fellow employees of WDBJ7 television station while their shooter was an angry former employee. Reports from the television station where Flanagan once worked as an anchor have described a man who fits the bill of a psychopath in a suit. The psychopathic former employee shot all three of his victims, killing both Parker and Ward. Flanagan’s third victim, Vicki Gardner, was shot and left in critical condition with all signs pointing toward recovery. Not only did the man open fire on live television, but also filmed the shootings and posted them on social media before taking his own life. When most think of the term psychopath their mind redirects to killers such as Ted Bundy, Jeffrey Dahmer, Charles Manson and the recent murderer Dylann Roof. The reality is a sub-species exists that is much closer to home and ironically is harder to spot, yet waiting to entice unsuspecting victims. These psychopaths are in suits and other uniforms. They are a part of the neighborhood book club, fellow golfers, behind pulpits, in many classrooms, and often share the same living quarters as their targets. Psychopaths often cover up their deficiencies with a ready and engaging charm, so it can take time to realize what you are dealing with. Psychopathy is a mental disorder characterized by a lack of empathy and guilt, as impulsivity, egocentricity and a chronic violation of social, moral and legal norms. The characteristics attributed to the psychopathic mind are hardly subtle personality traits, so why is it so easy for psychopaths in suits and other uniforms to go unnoticed? Simply stated… they are masters of manipulation. Most people assume conscience is universal and everyone has the same capacity for emotional experiences as they do. Pathological lying is the hallmark of psychopaths and manipulation is the key to their success and survival. They do it without acknowledgment, empathy or shame. Psychopathy is among the most difficult disorders to spot because often its victims appear normal and quite charming. However, beneath what meets the eye is a volatile, manipulative psychopath void of empathy as one whose conscience has been seared. This, after a series of incidents, adequately reflects the actions and behavior of Vester Lee Flanagan. The shooter reportedly had a long history of undetected mental illness. 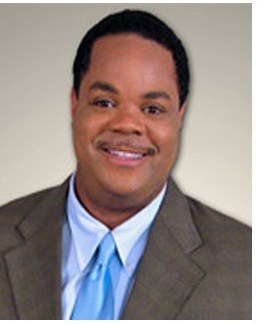 Prior to being fired from WDBJ7 TV, Flanagan was advised to seek medical attention as his “behaviors continued to cause friction with co-workers” and was warned that his employment would be terminated if he continued to cause lash out at colleagues and allegedly invoke a hostile work environment. There are many psychopaths in suits and other uniforms who easily slip through the cracks as disgruntled. The 41-year-old ex-employee unknowingly walked up to Parker and Ward as they were interviewing a local business leader with his gun drawn. Just a few seconds into the interview the psychopath opened fire killing both journalists while filming the murders on his mobile phone. He successfully uploaded the video to social media before turning the gun on himself and taking his own life proving that psychopaths do not always mirror images viewed on cinematography. One Response to "Psychopaths in Suits and Other Uniforms"